This .280 Remington ammunition from Hornady belongs to the Superformance line of hunting cartridges. 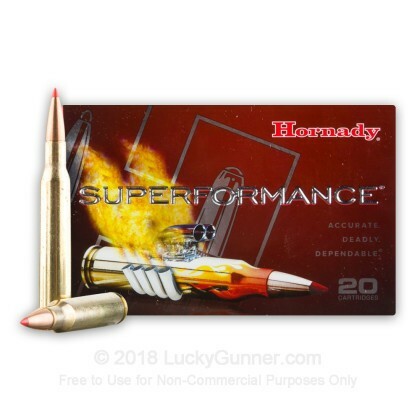 Superformance ammo's signature feature is its high-efficiency propellants, which produce higher muzzle velocities without increasing felt recoil, barrel fouling, or muzzle report. This results in better accuracy and terminal performance and more clean kills! 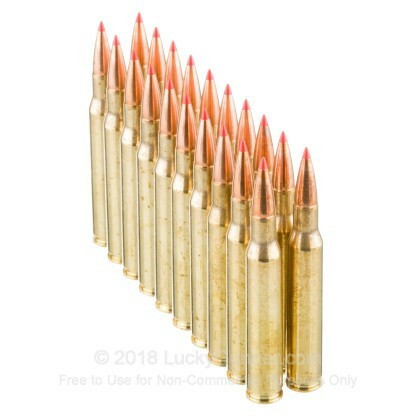 Each cartridge in this box of 20 fires a 139 grain GMX bullet with an aerodynamic polymer tip at a muzzle velocity of 3,070 feet per second. GMX bullets are made of a copper-zinc alloy. 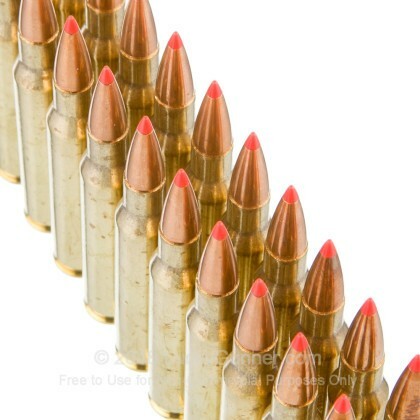 The one-piece construction of the bullet gives it extremely high weight retention and consistent expansion of about 50% of the bullet's initial diameter. 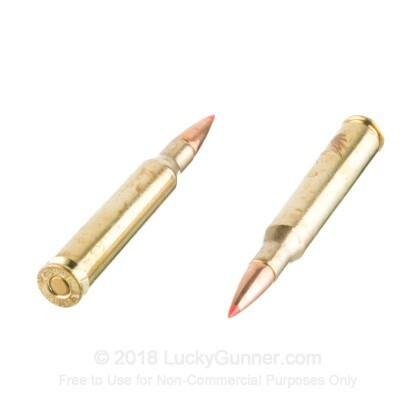 This ammo is particularly ideal for hunting in jurisdictions that have banned lead-core bullets, as it doesn't give up anything in the way of performance. Hornady ammunition is loaded in Grand Island, Nebraska using non-corrosive Boxer primers and reloadable brass cases. 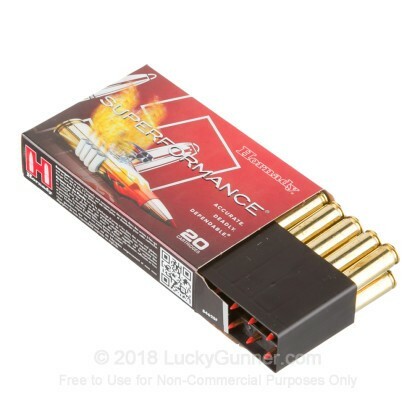 We don't have any reviews yet for this particular 280 Remington ammo from Hornady. 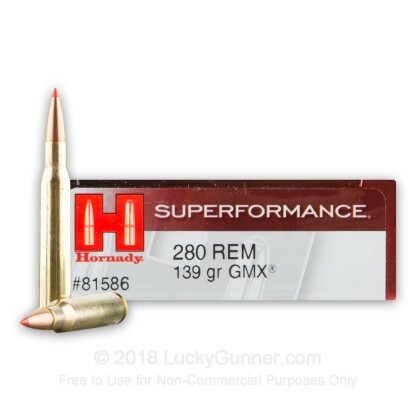 If you'd like to be the first to review this particular 280 Remington ammo from Hornady, fill out the form below.